Synod meeting closed for the evening with worship led by North Link. This morning commenced with worship led by North Link. 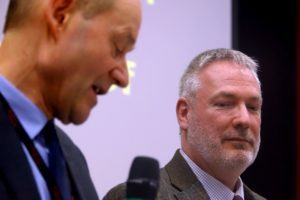 The Synod of Scotland meeting in Tulliallan aspires to raise through church contributions to the work of the Synod the sum of £33,000 as outlined in the Budget for 2018. This equates to £12.85 per member. 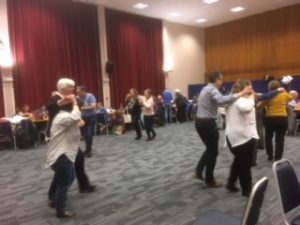 The Synod of Scotland places on record its thanks to Eastern Synod and South West Synod for assisting the Synod of Scotland in offering to provide manses for Synod staff. All churches return their inspection forms to the Synod office by 31st August of each year. After coffee break Synod Meeting moved into workshops. Four workshops were available, repeated once to allow representatives from Churches to attend each one between them. 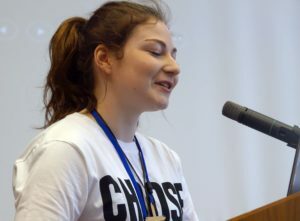 Synod was updated on this: Youth and Children’s work, Ecumenical Officer, Transition Champion (Special Category Minister) and New Shape of Synod. An update was also received from Ecumenical and World Church on the ACTs Review. 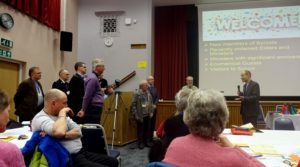 Synod Meeting then adjourned at 3:00pm and the Scottish United Reformed & Congregational College Annual Meeting convened where the annual report and accounts were received. The Meeting was updated on how changes to the Data Protection Act and Compliance Issues affect Churches. 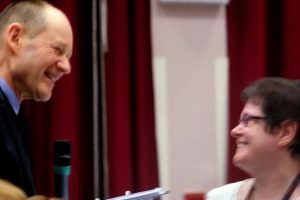 Revd Jan Adamson received a presentation to mark her retirement last year and give thanks for her work in the role as Synod Field Officer and a card was sent to Revd Trevor Jamison to wish him well in his new ministry in Northern Synod. After dinner the Link Gatherings were held, giving an opportunity for link groups to discuss the new shape of Synod and Local Shared News topics. 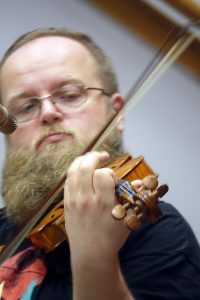 This was followed by closing reflections led by Michael Jagessar. 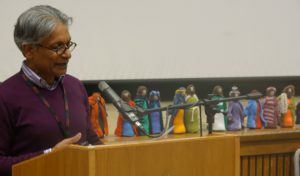 The Moderator reconvened Synod Meeting on Sunday morning with worship. After worship the moderator welcomed to Synod Meeting Katie Henderson Co-Moderator elect of Youth Assembly who updated the meeting on her role. 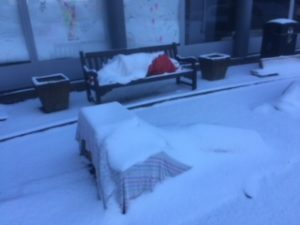 The Youth and Young Adults Forum informed Synod of their activities over the weekend which has been based on ‘One Day’ and invited Churches to raise money for a local or national homeless charity and report back to September Synod. 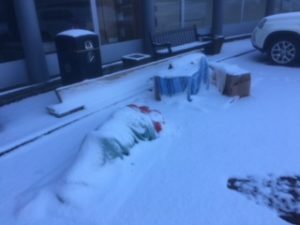 During the weekend the young people built a cardboard city which was particularly poignant when seen covered by snow on the Sunday morning and the blankets/sleeping bags frozen. 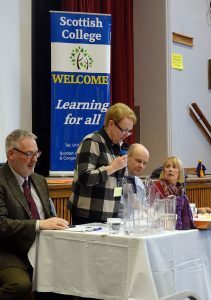 Synod, in principle, adopts and applies Equipping the Kingdom – an approach for mission and ministry across Scotland and the Policy for the Deployment of Ministry within the Synod, recognising that it is a process of evolution taking us from our current unsustainable position to one within which we can best utilise gifts, skills and resources according to our mission priorities. 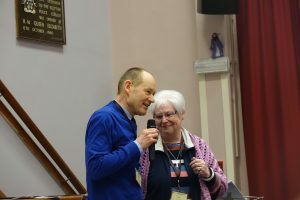 Synod resolves to co-opt Revd David Grosch-Miller to be a member of the National Synod of Scotland for the period 12th May to 19th July 2018. 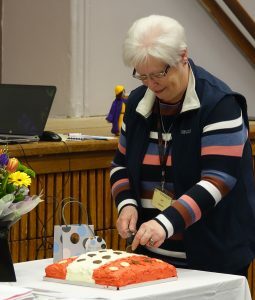 The PPS Report was received by Synod and updates were given on: Nominations, General Assembly 2018 Synod Reps.
Those demitting office Mrs Anna Briggs was thanked for her work as editor of SynNews and Synod was informed that Revd Andy Braunston would be the new editor. 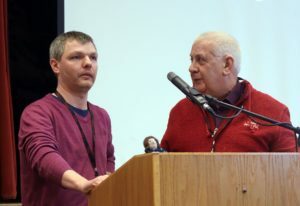 Synod was updated on the Northerly Synods Collaboration. The National Synod of Scotland accepts the PPS report. 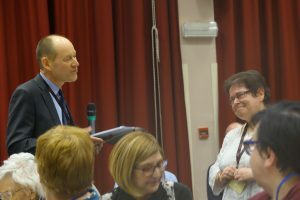 The National Synod of Scotland accepts the proposed list of representatives to General Assembly 2018 as presented and authorises Synod Officers to arrange replacements should the need arise. The National Synod of Scotland agrees the appointments matrix as presented in the report to Synod. With all business concluded, Synod Meeting closed with worship including include the commissioning of Brian Kirkwood as an Assembly Accredited Lay Preacher and a Celebration of Holy Communion led by the Moderator. 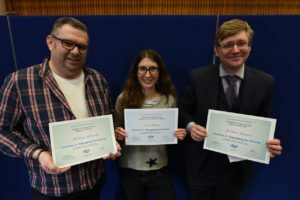 TLS Certificates were also presented to Nicola Robinson and Derek McDonald. At this service Synod stood in memory of ministers and elders who have served in Churches within the Synod and have died since the last Synod Meeting.